Also comes inAdult Standard and Kids/Toddler. We all go out to the park at one or two (or a million) times to feed our favorite little waddling friends. The ducks! Sometimes the geese are there too and we'll be fair to them but they're not near as cute (or nice!). They're always so excited to see us. We toss them some bread or crackers or cereal and they wiggle their little tail feathers in excitement! And then there's always those fluffy little yellow feathered ducklings! These babies just melt our hearts. We always wish we could just bring them home, don't you? Well we've decided that Mama Duck would be a little unhappy if her little ducks went out one day and were all kidnapped by strangers! So we've decided to come up with an adorable little solution. This little duck went out one day...and got a ton of candy for being so cute! Move over, Slow Loris! Get out of the way, puppies and kittens! There's a new cutest member of the animal kingdom! 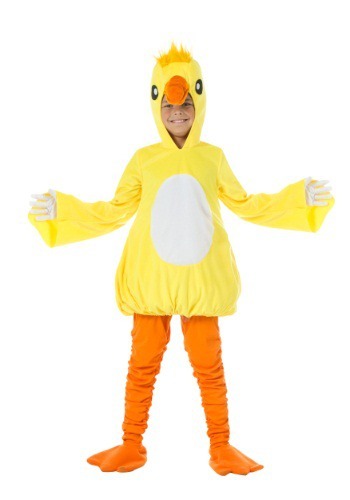 Now we give you the opportunity to create your own little duckling for the next costume party! Now you can have your own little waddling bundle of feathers. Keep them in the tub, keep them in the yard (don't forget the pond! ), or keep him close so you can hear him quack all day long. 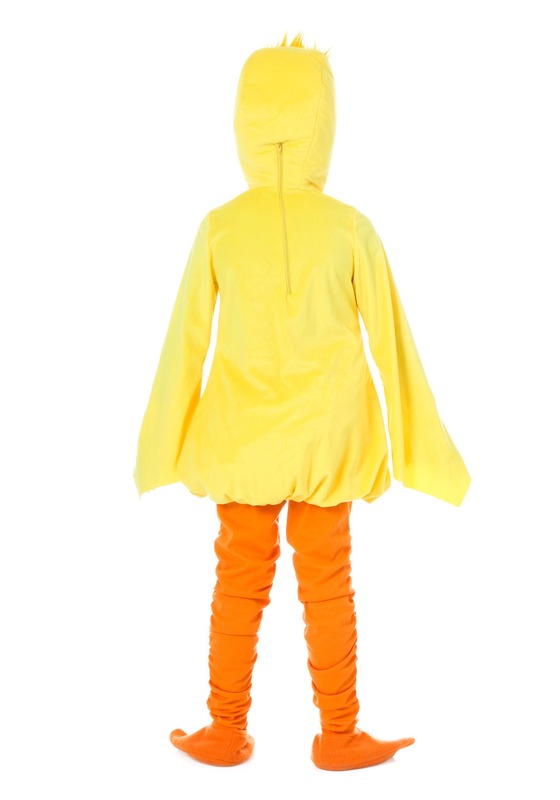 Yep, we think this costume is absolutely quackers and any fan of adorable things will be pleased!